OH’ what power God has worked through His Son Jesus who was raised from the grave on the third day, and those of us who believe and follow Him will also do the same. (Hosea 6:1-2). 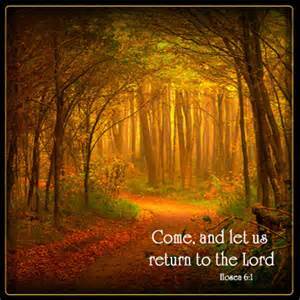 Come, and let us return unto the Lord: for he hath torn, and he will heal us; he hath smitten, and he will bind us up. After two days will he revive us: in the third day he will raise us up, and we shall live in his sight. It seems impossible that if anyone would die that they could live again, but we serve a God that even the impossible is possible by faith in His Son. Those who hear His words and believe shall not be condemned, but pass from death unto life eternal! (John 5:24-29). Verily, verily, I say unto you, He that heareth my word, and believeth on him that sent me, hath everlasting life, and shall not come into condemnation; but is passed from death unto life. Verily, verily, I say unto you, The hour is coming, and now is, when the dead shall hear the voice of the Son of God: and they that hear shall live. For as the Father hath life in himself; so hath he given to the Son to have life in himself; And hath given him authority to execute judgment also, because he is the Son of man. Marvel not at this: for the hour is coming, in the which all that are in the graves shall hear his voice, And shall come forth; they that have done good, unto the resurrection of life; and they that have done evil, unto the resurrection of damnation. For some what Jesus did for us at the cross has no meaning, and it is those we are told in Revelation who will have no part in the first resurrection where the true believers will reign with Christ for a thousand years. (Revelation 20:4-6). And I saw thrones, and they sat upon them, and judgment was given unto them: and I saw the souls of them that were beheaded for the witness of Jesus, and for the word of God, and which had not worshipped the beast, neither his image, neither had received his mark upon their foreheads, or in their hands; and they lived and reigned with Christ a thousand years. But the rest of the dead lived not again until the thousand years were finished. This is the first resurrection. Blessed and holy is he that hath part in the first resurrection: on such the second death hath no power, but they shall be priests of God and of Christ, and shall reign with him a thousand years. There is no way any one of us could ever thank the Lord enough for the grace and the promise of eternal life that is ours when we turn from sin and serve Him! (Colossians 2:9-14).